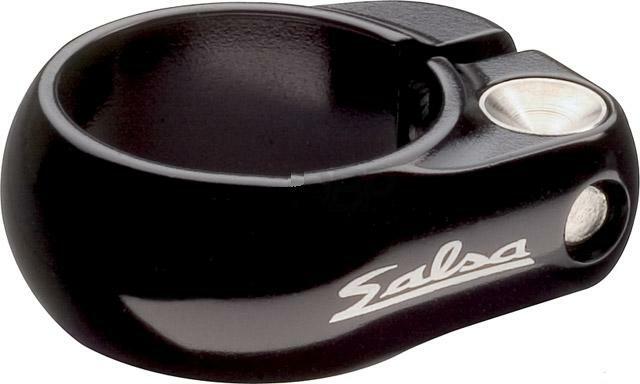 The Salsa Seatpost Clamp Lip Lock Model has a threaded seat collar as well as a pivoting stainless steel threaded insert which reduces bowing and fatiguing of the pinch bolt. Laser-etched logo. Available in a 30.6mm and 35.0mm diameter.